It turns out the daily lives of registrars can be really quite interesting. Who would have known? 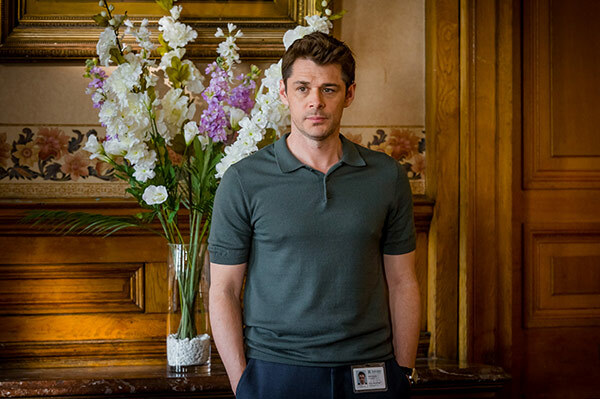 Love, Lies and Records, the newest drama from acclaimed writer Kay Mellor, has been a breath of fresh air on BBC One over the past few weeks. Complete with compassionate characters, an ongoing mystery and touching human stories – the series fills a hole in our hearts we didn’t know was missing. 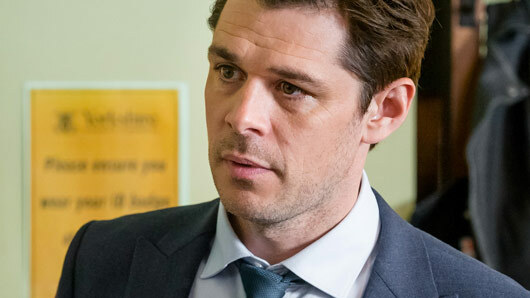 We spoke to Kenny Doughty, who plays Deputy Registrar Rick Severs on the series, about Love, Lies and Records as well as his role as DS Aiden Healy on ITV’s Vera. What drew you to Love, Lies and Records? Kay Mellor, really. I thought it was a brilliant concept and I can’t believe no-one’s ever done it before. For me, it was a no-brainer. You’ve got Kay’s writing, which is full of heart and warmth, it’s funny and it’s also very sad and authentic. What was it that drew you to Rick in particular? He’s at a crossroads in his life. He’s been trying for a child with his partner Olivia and that’s not quite happened and that’s put a lot of pressure on him. There’s a few more twists and turns that have an impact on his personal life. I was really drawn to him because he goes through an emotional journey from beginning to end and I can relate to that. How much are you like Rick? His energy is very different. He’s very bouncy and quite cheeky. The thing about registrars as well is they have to this heart. He’s got a big heart and he wears his heart on his sleeve and he gets into trouble a lot. There’s something about him that made me smile. How did you prepare for the role? Did you visit a registry office? We did, yeah. We spent a day with registrars in Leeds. These are the people that Kay worked with as well when she was researching the show. They’ve all got such a human connection to everyone who comes in. They’re there, not just doing the paperwork and forms, but they’re there as human beings to console or celebrate. I was absolutely fascinated by their people skills. Can you tell us any funny stories about what happened on set? We shot a scene about 2 o’clock in the morning. It’s quite a big, emotional scene. We were trying to do this scene and I think it must have been freshers week. We were in the town centre in Leeds and we were just inundated with these students trying to get on show. We’re trying to do lines through the dance music and people shouting “OIIII HELLO MUM”. I think because it was a Wednesday night, nobody anticipated that it would be busy. We thought that would be a really quiet one to film. Nobody goes out on a Wednesday night. We were like, hang on a minute, why are there hundreds of people wanting to be near the TV show? It was funny, it was freezing, but it was funny. How have you found the reception to the show and your character so far? I think it’s been great. I’ve been out in Portugal to help my mum who has had a bit of a difficult time, so I’ve been there, not here, but occasionally my family have been texting to say it’s gone down really well and people are loving it, which is absolutely fantastic. I’ve really enjoyed it. It’s got a bit of everything – drama, comedy, humanity. It’s brilliant. The way that Kay writes it, I think it’s just perfectly balanced. You can have a bit of drama, a bit of comedy, and then we’re also dealing with some very current issues – like immigration. How do you find social media has changed the way you interact with people as an actor? When I first got on social media, I used to think I could reply to everybody. Now, it’s obviously impossible, it would be 24/7 replying. It’s a fascinating thing and I think you need to have a healthy relationship with it. I think it can be addictive and misleading, but at the same time, it’s also a nice way for fans to connect with you. That’s really nice because ordinarily you wouldn’t have that and actually those people are the most important people – the people who are tuning in to watch. For them to have a voice, to communicate with you how they feel about it – I think that’s fantastic. What can you tease about series finale? I know you can’t say much. I can’t say anything, but I can say it’s going to get better and better. It’s gonna be a rollercoaster – especially for Rick. You’ve also got the eighth series of Vera coming out in January. What can you say about that? 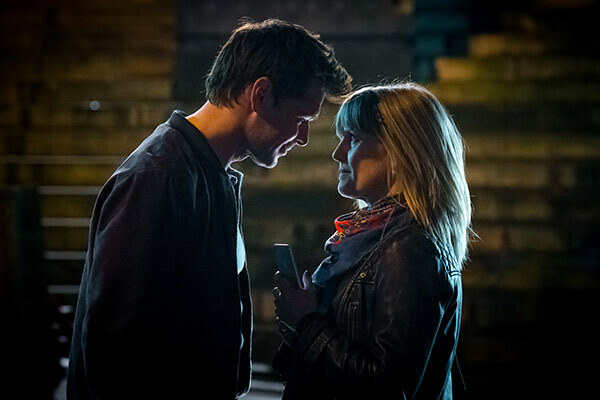 Episode one of Vera… it’s been a while since we’ve had a bit of a personal touch, but Aiden’s head gets turned by the possibility of something else, and it’s quite interesting for Vera and Aiden to have that dynamic and a little bit of conflict between them. Of course, we’re going to get amazing locations again, we’re going to get Brenda Blethyn being extraordinary bringing Vera to life, and Vera and Aiden. I think from here their relationship grows in a different way. So would you say Vera and Aiden’s relationship is challenged more in this season than ever before? In episode one in particular, yeah. I can’t say too much, but there’s a kind of strain on Vera and Aiden, where he kind of gets his head turned a little bit. Vera has to possibly question how she feels about Aiden. Aiden’s like what does she want from his career and what does he want to do. It’s an interesting one. What would you say is your favourite thing about doing the series? Working with Brenda. Getting to spend 5 months a year with Brenda Blethyn is a magical gift. On top of that, I think the locations we get – they’re absolutely extraordinary and they’re places you wouldn’t dream of going to or even know how to get to. That part of the job, I feel very lucky to experience that. Where’s your favourite location you visited this series? I think it’s probably episode four where we filmed up in Kielder Forest. It’s just absolutely epic, it really is. You just drive for miles and miles through this forest and there’s this gigantic – it’s almost like an ocean, this reservoir. For me, probably episode four was visually really exciting. Episode one, which was more challenging, we were filming in an abattoir, which was completely… urgh. What TV shows do you enjoy watching at home? I just finished watching Stranger Things which I really enjoyed. I’m a little bit behind watching Big Little Lies. I think The Crown starts this week, I’m looking forward to that. [Ed’s note: Kenny’s interview took place before The Crown returned to Netflix]. Watch Kenny in Love, Lies and Records tonight on BBC One at 9pm and in Vera on ITV in January.